I consider Henry a fairly adventurous eater. He'll typically try anything and has always been one of those kids who likes 'non' kids food. Some of his favorites being avocados and guacamole, hummus, beans, fish tacos, cobb salad and now curry rice. My mother in law introduced me to a curry rice that you can get in the freezer section at trader joes. Henry loved it so much that I figured I would save some money and just make my own version at home. This is one of those recipes that just worked from the getgo. I do a lot of experimenting in our kitchen and often I have to tweak something after the first try or my husband will kindly ask me to never make a dish again (like my disastrous greek orzo pasta salad). I have to say I am not a curry fan at all but this rice is off the charts delicious. It's also super easy and fast to make. 2. 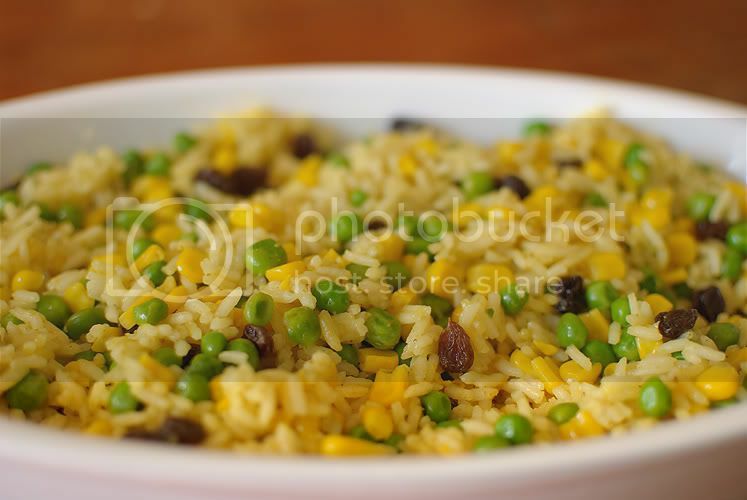 Once the rice is done cooking remove the pot from the heat and set the rice aside. 3. Place an empty pan on the stove over medium heat. Add 1 TBS of oil. 4. 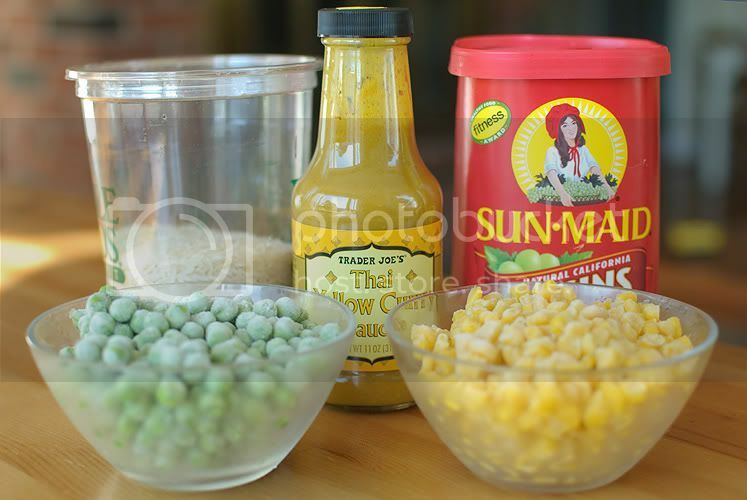 When the oil is heated through add the frozen peas and frozen corn to the pan. 5. Sauté the pees and corn together for about 5 minutes until they are cooked through. 6. Next add in the raisens, curry and rice to the veggies. 7. Thoroughly mix everything together and let it all cook for another 5 minutes or so to make sure everything is heated through.